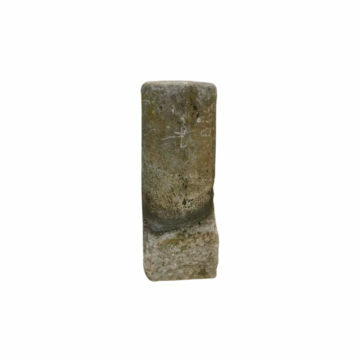 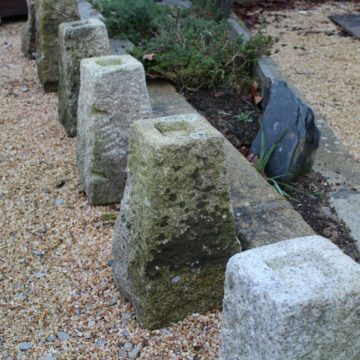 Wheel-chasers were embedded into the foot of gate-posts or the corners of buildings to protects carriage wheels and the building itself. 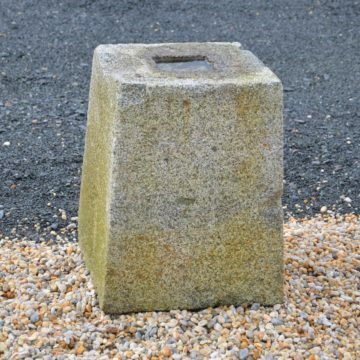 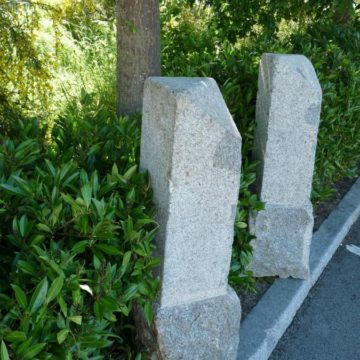 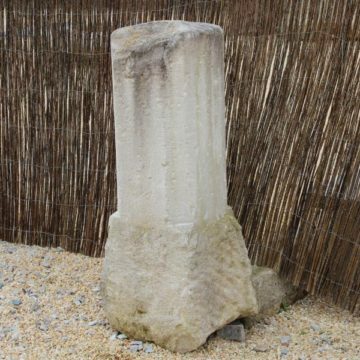 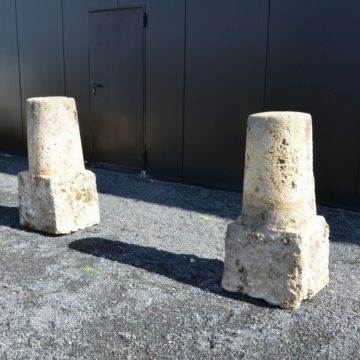 Mile posts and low stone pillars in general find a new like such as lining driveways to keep vehicles on the right path, and not park on the grass ! 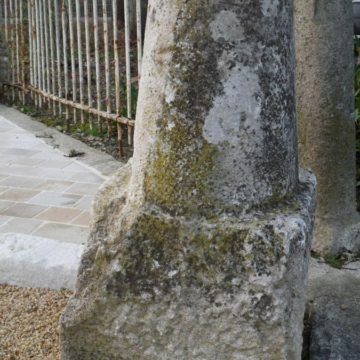 Dating back centuries if not millenia, when we can source such unusual but efficient features we do so. 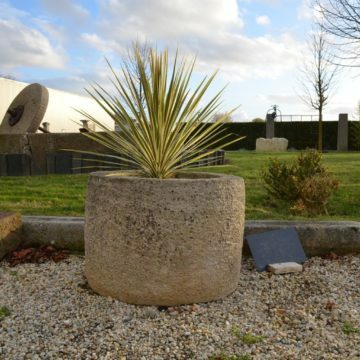 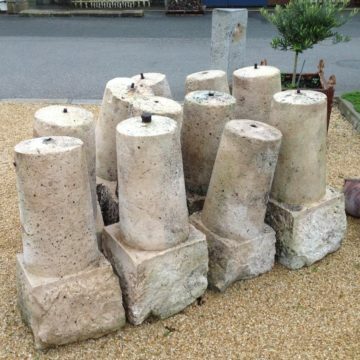 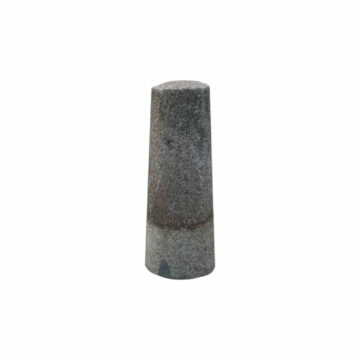 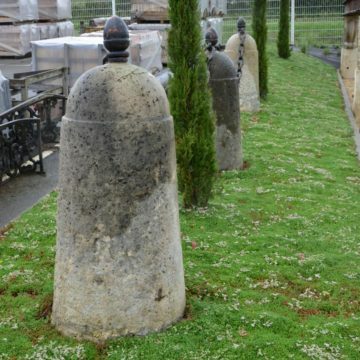 They are re-used decoratively and for their ongoing functionality in all sorts of garden or landscape locations. 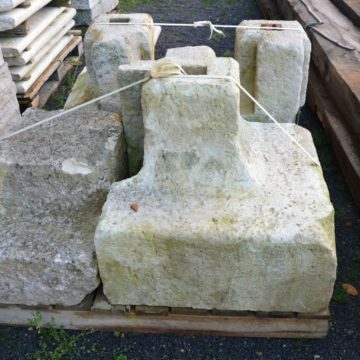 At BCA Antique Materials we’ve been reclaiming such architectural salvage features for over 20 years, and our professional team enjoy talking through the pros and cons of re-using historic features like these on projects.